Say this at least about the Perth Colts baseball team — the Colts know what a real road trip looks like. Perth, on the road in America for just more than a week now, has already played 11 games in the states, including Tuesday's 5-4 loss at Lakeridge High School — a game played more than 9,200 miles away from the team's home base in Western Australia. "We had nine games last week — it was quite the week," said coach Joey Taormina, now in his third summer with the team. "This is our third stop (after Sacramento and Eureka). We do it every summer — they get some good experience and play some high-level baseball." Next up, the Colts will join the Pacers and 14 other teams in the 16-team Firecracker Classic tournament at Lakeridge; the tournament opens on Thursday with three days of pool play, then moves into championship play on Sunday. For Aussie Josh Duncan — Perth's starting pitcher on Tuesday — the Colts' 2017 trip marked his third summer in America after previously living in North Carolina. "There's better competition here. It challenges me," said Duncan, a Sydney resident. "It forces me to be better and I can take that home and improve my game. I take home what I learn and use it to improve." For Sam Collier, now on his second summer tour of the states, this year's trip provides a chance to get himself known on the eastern side of the Pacific Ocean. "My first time, it was just to get a feel for what it was like over here, what the (baseball's) like, getting used to meeting people that aren't from Australia," Collier said. "This time's more about trying to get my name out there because I'd like to go to college." While America and Australia are separated by the world's largest ocean and 14 hours on the clock, the game between the lines is generally the same, though the Aussies clearly relish their own brand of high-energy, aggressive baseball. "We wanted to set the stage and show that we can play, that we were just as aggressive as they were," said Duncan, noting that the Colts also wanted to erase memories of a 2016 game that saw them give up eight first-inning runs to Lakeridge. "I think we were really loud the whole time, we were aggressive and we made good plays when we needed to. That was our goal and I think we achieved it." Collier agreed with Duncan's assessment of the differences between American and Australian baseball. "Baseball-wise, I thought the competition was going to be a lot more aggressive," he said. "Back home, it's quite an aggressive game we play over there. Here it's more the calm side of things. People just like to play the game and get on with it." 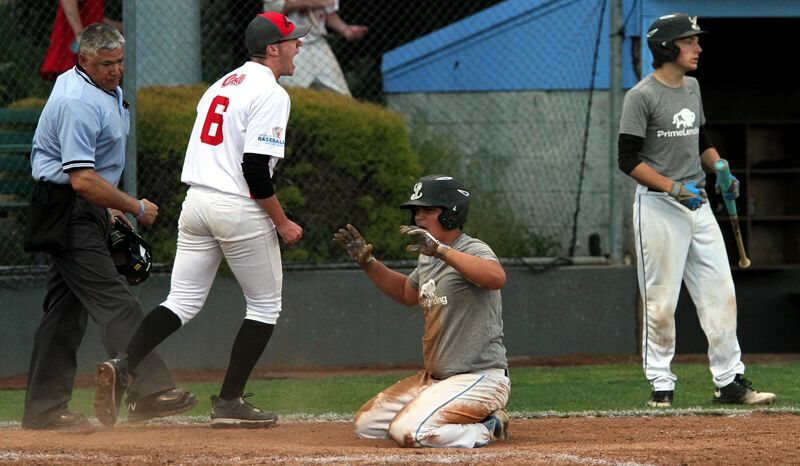 For their part, the Lakeridge players have enjoyed their time with the Aussies, both on the diamond and off. "They're really nice guys. They're hilarious," said Lakeridge's Connor Utech. "They're really friendly. They're a great group of guys to have around." 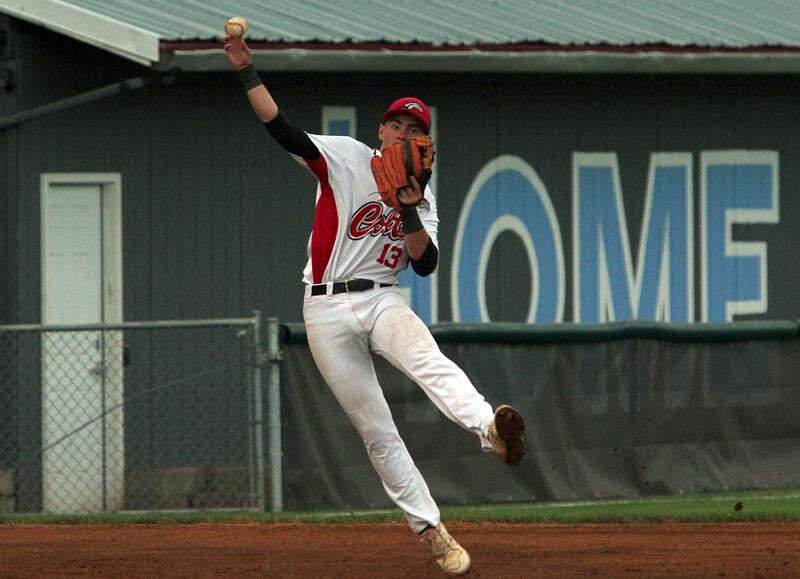 "It's fun to play teams that aren't from around here, even teams from Washington or California, but Australia is obviously a different deal," said Pacer shortstop/pitcher Colin Hardy. "I was talking to (Perth's Blade Hayter) at second base and … they're really just the same type of people as here. They're really all nice." That said, not all Americans are as welcoming or as understanding as members of the Lakeridge baseball team, who played with Aussie transfer Josh Robins during the 2017 spring season. "We've had the classics like 'What's it like to ride a kangaroo to school' and some silly questions like that," Collier said. "I think the worst one I had was when someone asked me what it was like to live in dirt. That was a bit of a rough one." "I had someone ask how far we had to walk to get water, like we got our water from a well," Duncan said. "And I had another one ask what's it like to finally be in a free country, so I've gotten questions like that." Despite those few minor missteps, the Colts say they're enjoying their time in America and looking forward to participating in one its long traditions — playing baseball in the Firecracker Classic in the days leading up to July Fourth. To see a complete bracket for the Firecracker Classic, click here.